Guess what everybody?! 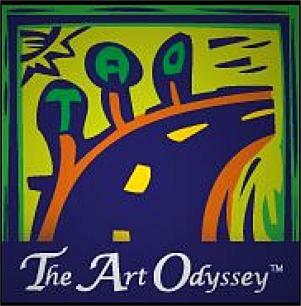 We’ve been selected to take part in The Art Odyssey, Mountain Home Chamber of Commerce’s third annual open studio tour — so put May 17, 18 and 19 on your calendar, and stop by to take a tour of our home studio where you’ll be able to see where Val and I work when we make jewelry, lampwork beads, art quilted wallhangings, paintings, all-natural soap, etc.! You’ll be able to purchase our various whatsits, too! Looking forward to seeing you here for our first Open Studio Tour…See ya then! This entry was posted on Monday, March 11th, 2013 at 12:52 am and is filed under Jewelry Making, Not All Play at the Bay, Uncategorized, Zortman Family Happenings. You can follow any responses to this entry through the RSS 2.0 feed. You can leave a response, or trackback from your own site.